The words seter סתר -"hideaway; secret" and setira סתירה - "contradiction", seem to have the same root - סתר. However, they are not related. 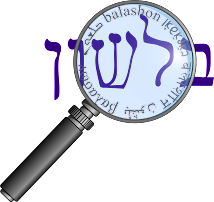 The verb סתר meaning "to hide, conceal", most commonly found in the hifil form - histir הסתיר - "he hid", is found in Biblical Hebrew and has cognates in other Semitic languages such as Ugaritic, Aramaic and Arabic. Setira, however, derives from a homographic root סתר, which originally meant "to pull down, destroy", and that sense was expanded to mean "contradict, refute." Both these uses are found in Rabbinic Hebrew, but not in Biblical Hebrew. What we do find in Biblical Hebrew, in one verse, is the form שתר (Shmuel I 5:9). where it means something like "break out, burst." We can see from the Arabic cognates that these are two different roots - the root meaning "hide" is cognate with the Arabic satara, whereas the root meaning "tear down" has a cognate in the Arabic shatara. from Anglo-French *misterie, Old French mistere "secret, mystery, hidden meaning" (Modern French mystère), from Latin mysterium "secret rite, secret worship; a secret thing," from Greek mysterion (usually in plural mysteria) "secret rite or doctrine," from mystes "one who has been initiated," from myein "to close, shut" (see mute (adj. )); perhaps referring to the lips (in secrecy) or to the eyes (only initiates were allowed to see the sacred rites). That said, Klein does write that the Hebrew word mistorin מסתורין - "mystery", is a "blend" of מסתור mistor (a biblical word meaning "hiding place, shelter") and Greek mysterion. What's interesting about this blend is that it is found already in Rabbinic Hebrew (where it is also spelled מסטורין, showing more Greek influence). I was more familiar with these blends in Modern Hebrew, such as עלית elit - blending the Hebrew עלי ili- "upper" and the French "elite."